Since the time of demonetization, India has been focused on going digital. Our Indian Government is continuously trying to push digital payments, thus giving a big boost to the Digital Wallets, but these e-wallets have limitations. 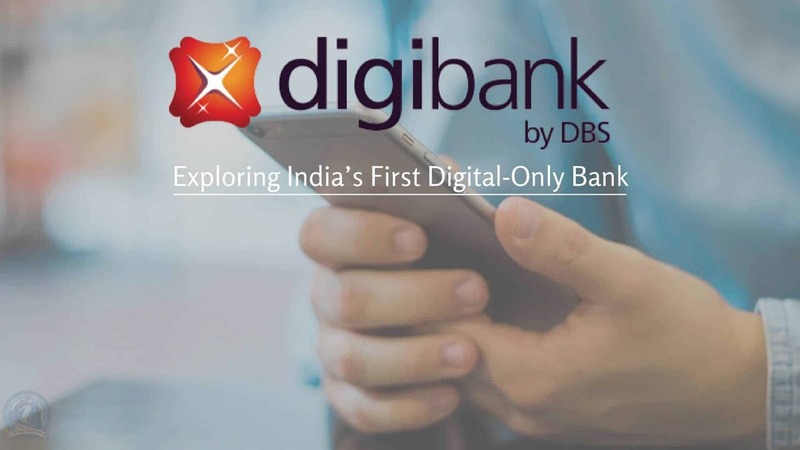 To overcome the limitations of digital wallets, Digital Banks came into the limelight, and out of all the digital banks available today, digibank by DBS is India’s first and best Digital-Only Bank. It beats competitors like Kotak 811 and ICICI Pockets easily. digibank takes the digital banking to a whole new level by making the banking easier and paperless for customers. Yes, you heard it right! You can open your bank account in the least possible time without any paperwork or signatures. While the regular banks need hours of time and tons of signatures, with digibank you can get your account activated within 90 seconds, and all you need is your Aadhaar and PAN number and Biometric Authentication. You can open the e-wallet at any time by just completing the few steps on the mobile app. With your digibank e-wallet you can shop with your Virtual Visa Debit Card, recharge, pay bills, transfer funds and with every spending, you get to earn cash backs and deals. Cool, isn’t it? You can also upgrade your digibank Digital Bank Account to a DigiSavings account and earn 7% interest as well as extra rewards. For upgrading to Digital Savings Account you will need to get biometric verification. Once the Biometric verification is completed, your e-wallet account is converted into a Zero Balance Savings Account. But, what difference does it make? How beneficial is digibank compared to other digital banking providers? To answer this question, let me list down the benefits I came across while using the Digibank. The benefits are limitless, and it excels over the competition. We can not only save time but also spend more and save more with India’s First Digital-Only Bank. While I was exploring digibank, I thought to take a look at the other Digital Banking services too and I stumbled upon Kotak 811 and ICICI Pockets. I tried Kotak 811 and here’s a quick comparison of both services. Up to 7% interest P.A. Up to 6% interest P.A. The above comparison shows a clear win to digibank. We, being typical Indian consumers spend a lot of time in banks and we should keep track of documents, passbook, papers, checkbooks, etc. However, with our tight schedules, it should be exactly the opposite- less time with banking and more time to enjoy life! So, I would recommend everyone to try digibank today and explore India’s First Digital-Only Bank. The mobile app is available for both Android & iOS, and do let us know your experience in trying digibank.